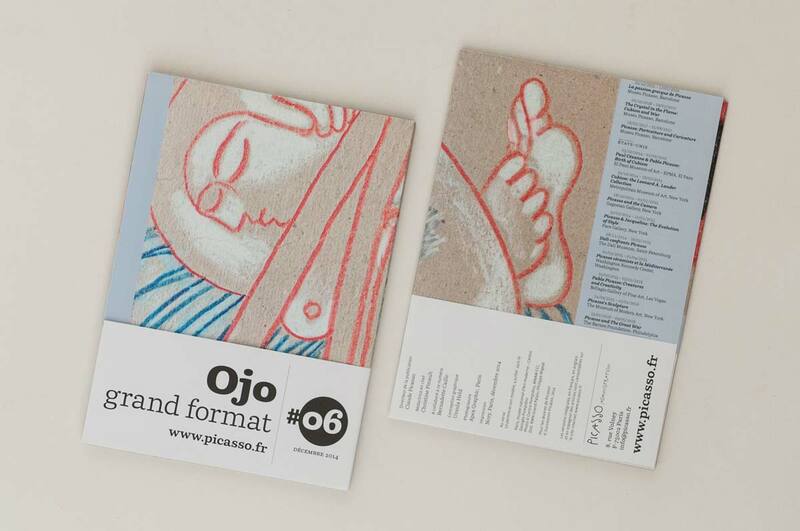 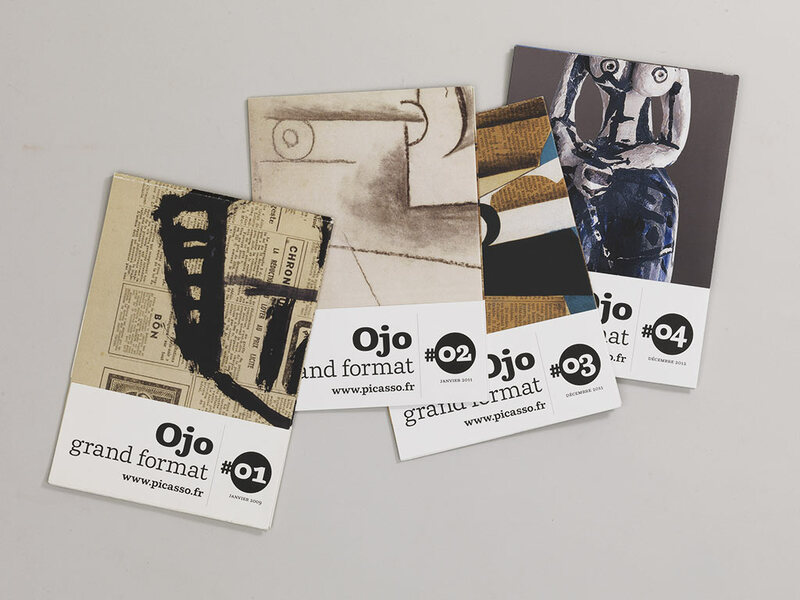 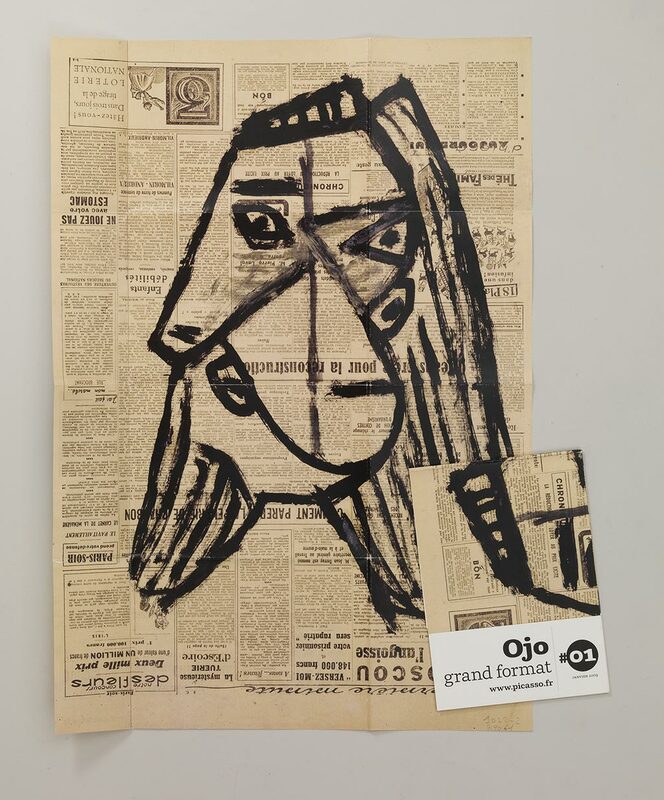 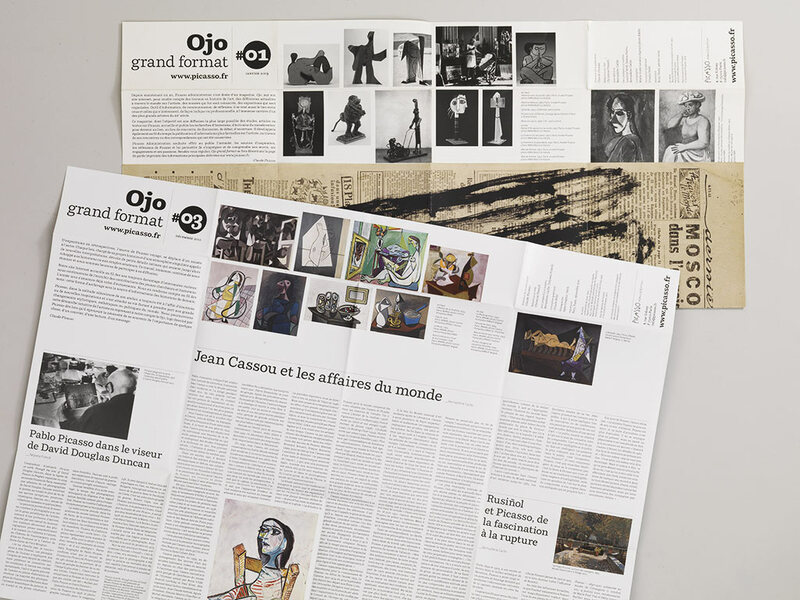 Simultaneously a poster and a newspaper, the first issue of “Ojo grand format” featured a drawing by Picasso… on newsprint. 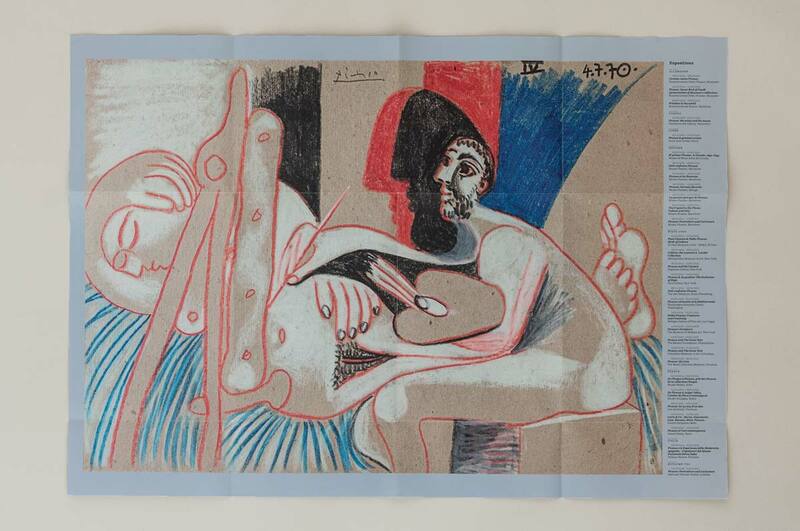 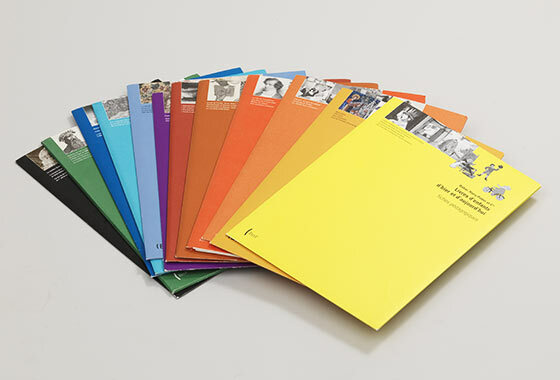 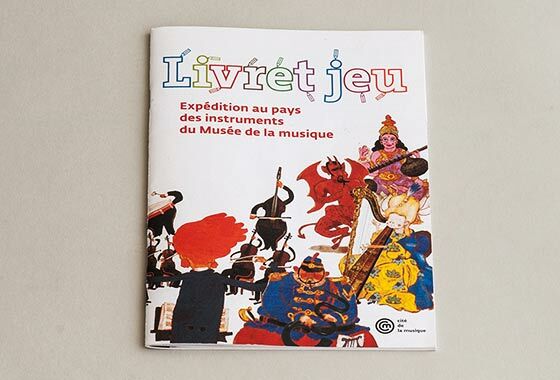 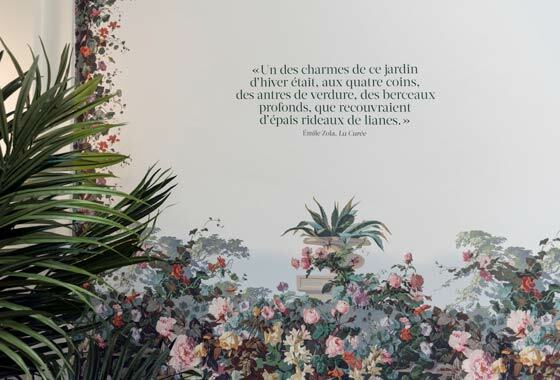 The journal includes a list of all Picasso exhibitions worldwide. 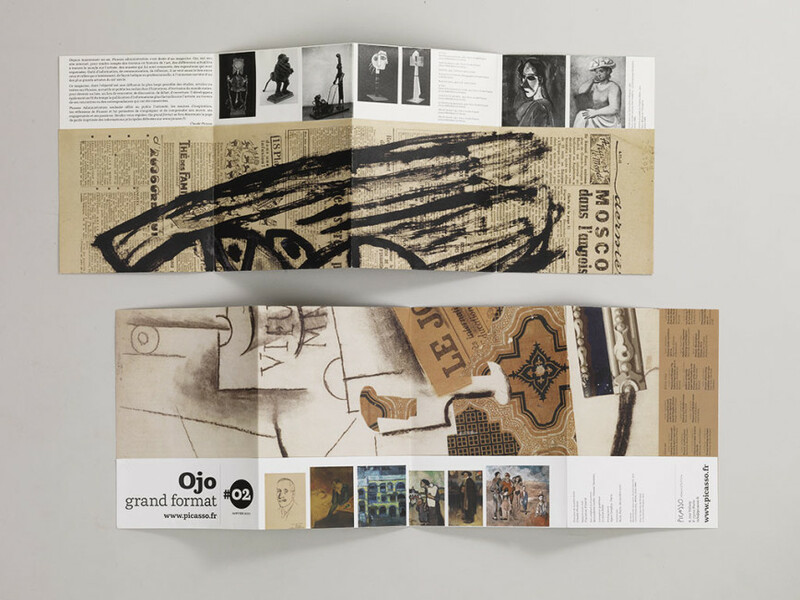 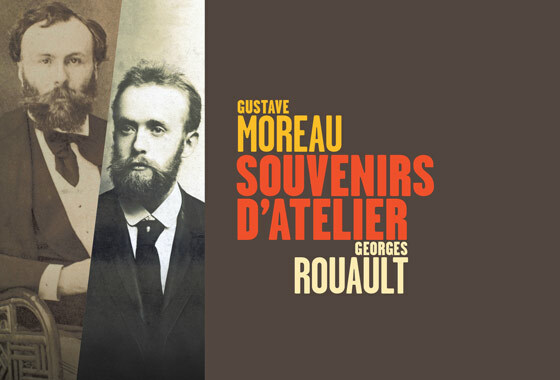 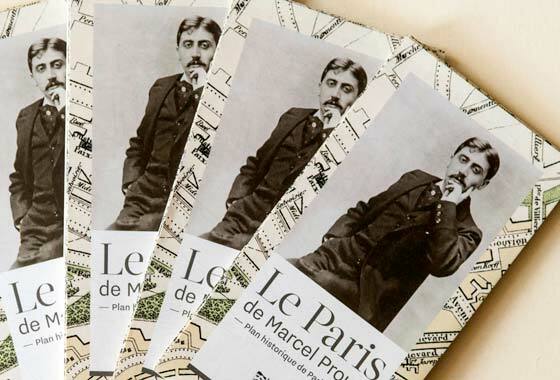 While unfolding, a row of images appears, visible before one can see the main texts.